Let’s talk about this. That jar of spaghetti sauce in your pantry is really convenient. Just dump it in and move on. There are definitely times when I need that simplicity. And personally, even if I have a jar of sauce I want to use, I’ll add onions and peppers, because I usually want more than what they put in the jars. But this little homemade sauce is so easy, (not to mention affordable) that I think you’ll find yourself saving the jar for emergencies. In just a few minutes you can have a healthy, delicious sauce with fresh ingredients. And if you teach your kids to make it, it’s even easier than that expensive jar! If these words are confusing to you, read on for the step by step instructions! *Rule of thumb for cooking pasta in the Instant Pot: Pasta cooking time is HALF the lower cooking time on the pasta package. Round down if it is an odd number. 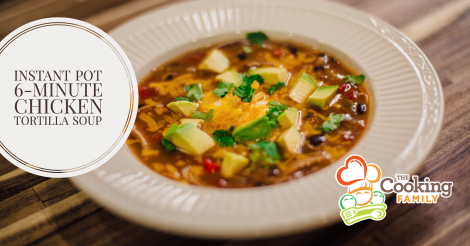 Example: Box says 8-9 minutes, set Instant Pot cooking time for 4 minutes. If box says 7-8 minutes, set IP cooking time for 3 minutes. Press <Sauté> to turn Instant Pot on and begin heating it up. If meat is lean, drizzle olive oil in bottom of heating pot. Brown italian sausage (or other ground meat, if using) in pot. If using jarred spaghetti sauce, pour sauce in and add slightly less than 1 1/2 jars of water. This recipe is based on a total of about 56 ounces of liquid, and sauce jars vary in size. Skip to step 9. If you are making your own spaghetti sauce, add basil, oregano, and fennel to browning meat. Add pasta and crushed tomatoes. Fill empty can with 28oz fresh water or chicken broth and pour into IP (Instant Pot) over the pasta, sauce, and meat. Press <Keep Warm/Cancel> to turn machine off from sautéing meat. Press <Pressure Cook> or <Manual> and then <+> or <-> to adjust time to HALF of lowest minutes of cooking time indicated on the box of pasta. Carefully, keeping face and hands away from the valve, move it to Venting. This is a Quick Release. Should any starch or sauce begin to spray out, simply close the valve and wait a couple of minutes. Carefully open valve and release steam in small spurts, watching to make sure starch is not spraying out. *Note that jarred spaghetti sauce often contains sugar already. Florentine Pasta: Add frozen chopped spinach and cooked, drained beans (garbanzo, kidney, or cannellini). Low-carb/Whole food version: Use cooked Spaghetti Squash as the pasta. Put in and stir as directed above. Set on Manual, high pressure for 2 minutes, and Quick Release. Sometimes spaghetti squash can make it a little more liquidy. If this happens, simply turn your pot on to Sauté and cook off some of the extra water. Make note and consider reducing water a little next time. We love to hear reports. Let us know how it turns out in the comments below, or on our Facebook page. Have a great dinner together! 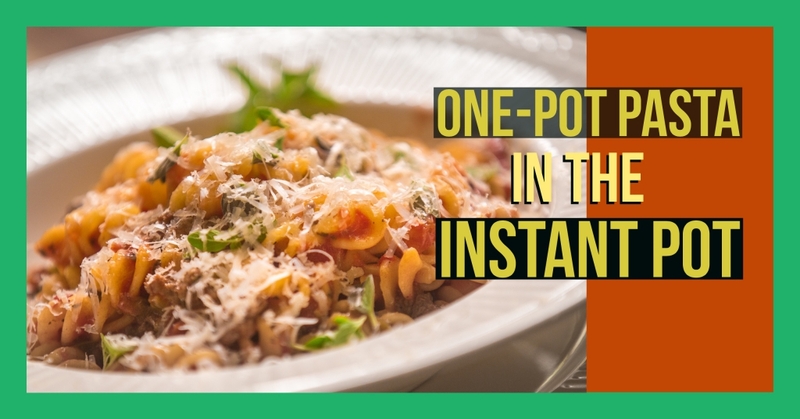 This simple One Pot Pasta is easy to make and tastes delicious! Using empty can of crushed tomatoes to measure, add 28 ounces of fresh water or chicken broth and pour into pot over the sauce and meat. Carefully, keeping face and hands away from the steam release valve, move it to Venting. This is a Quick Release. Should food begin to spray out, simply close the valve and wait a couple of minutes. You can use jarred spaghetti sauce, and pour sauce in and add slightly less than 1 1/2 jars of water. This recipe is based on a total of about 56 ounces of liquid, and sauce jars vary in size. Note that jarred spaghetti sauce often contains sugar already. 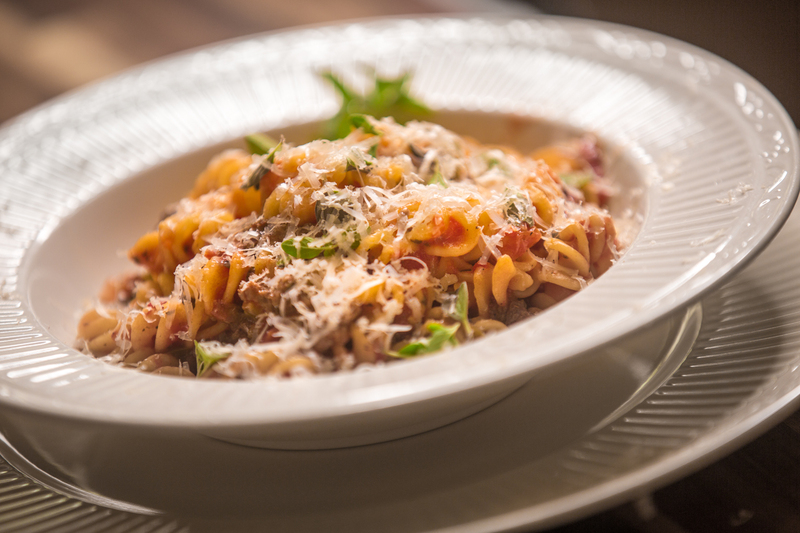 Cajun Jambalaya Pasta: Use sliced smoked or andouille sausage instead of Italian Sausage. Add diced onions, bell pepper, and celery, garlic, thyme, and bay leaf. Crushed or diced tomatoes instead of sauce. Use chicken broth instead of water. Add red pepper flakes or hot sauce to taste. Low-carb/Whole food version: Use cooked Spaghetti Squash as the pasta. Put in pot and stir as directed above. Set on Manual, high pressure for 2 minutes, and Quick Release. Thank you so much, Eva! We love and miss you too! 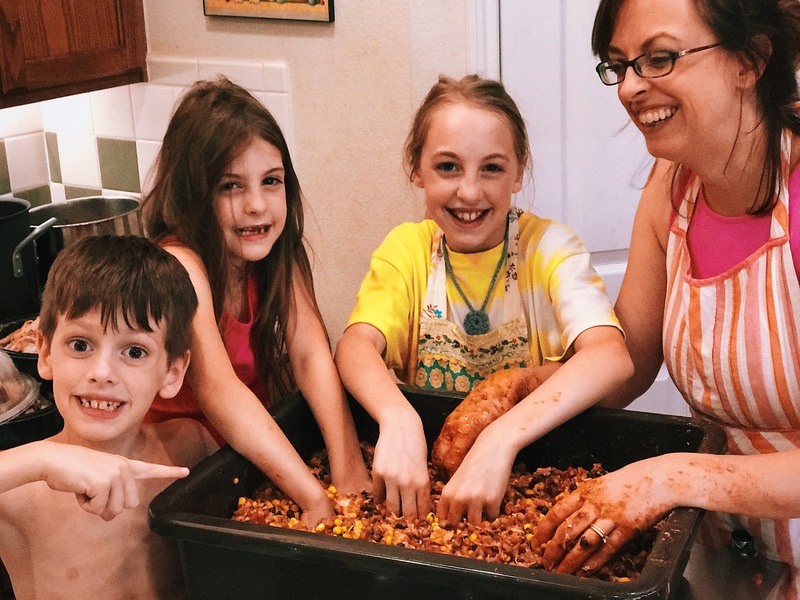 So glad you’re enjoying your Instant Pot and sharing with friends! I added a little clarification on those buttons on steps 12 and 13–Thank you for the suggestion! What a useful video. Well made, concise and informative. I especially liked seeing so many accomplished chefs working together. Kudos to you all. Thank you for watching and for your kind comment, Marc! Just checking, if you use a Jarred sauce do you still add the 28oz of water? Hi Cindy, great question. Yes, if you use a jarred sauce, then fill the jar up with water and add it to the Instant Pot. Our recipe ends up using a total of 56 oz. of liquid between the 28 oz. can of crushed tomatoes and then filling the same can with water to add over the pasta. But the amount of sauce in jars can vary greatly, so you may need to do some experimenting with yours. I am always reminding myself and my kiddos that more water can be added, but it can’t be easily taken out. If your pasta is still crunchy at the end, you could add a little more water and let the Instant Pot simmer on sauté until it’s absorbed. If it ends up a little overdone at the end, just make a note of it and add less water next time. Hi Courtney, I’ve never tried it, but it could be done. I’m not sure that exactly doubling it will work, but you can just adjust the pasta as the last step. Do all of the other ingredients doubled. It won’t hurt it, you just might have a little extra sauce. Then at the end you might try 1.5 pounds of pasta and the appropriate ratio of water and see how full that gets the pot. You don’t want to go over the 5L line or you won’t come to pressure. If you’re still under that line, use your best judgement over how much more pasta and water you can add. I’d be interested in hearing how it goes!